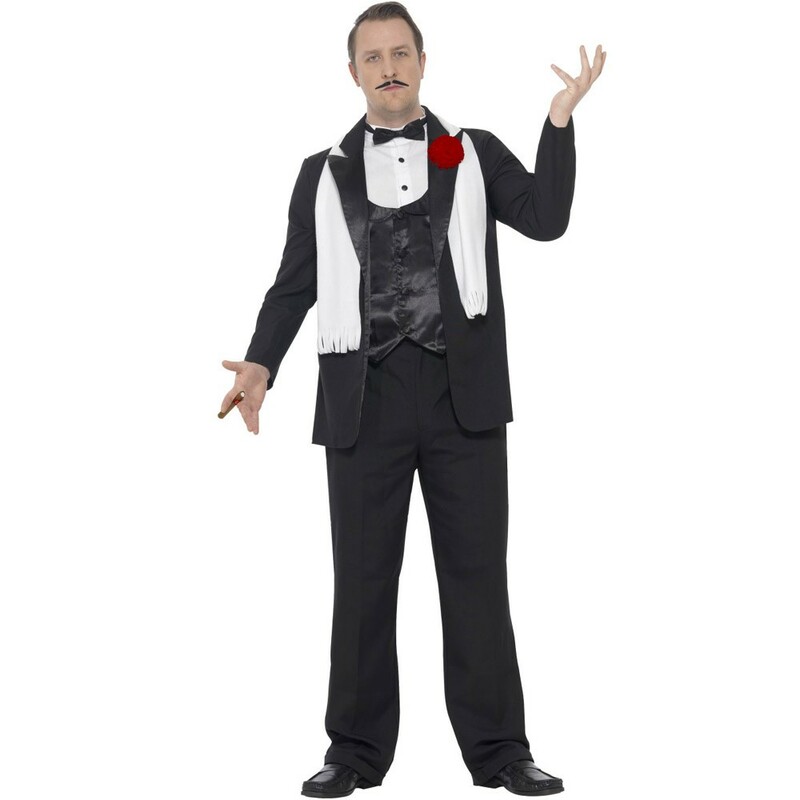 A Curves Gangster Costume including Jacket, Mock Shirt, Trousers, Scarf, Flower, and Cigar – Ideal for a 1920s theme, Gangster theme, or any fancy dress occasion! Rule the gang dressed in this fantastic Curves Gangster Costume! 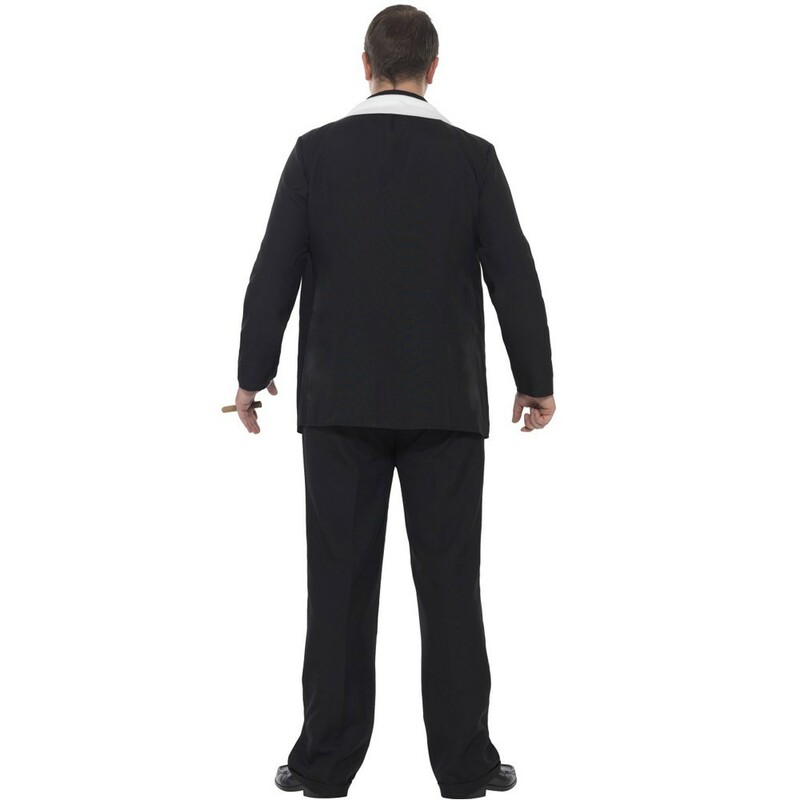 This Curves Gangster Costume comes complete including a Jacket, Mock Shirt, Trousers, Scarf, Flower, and Cigar. 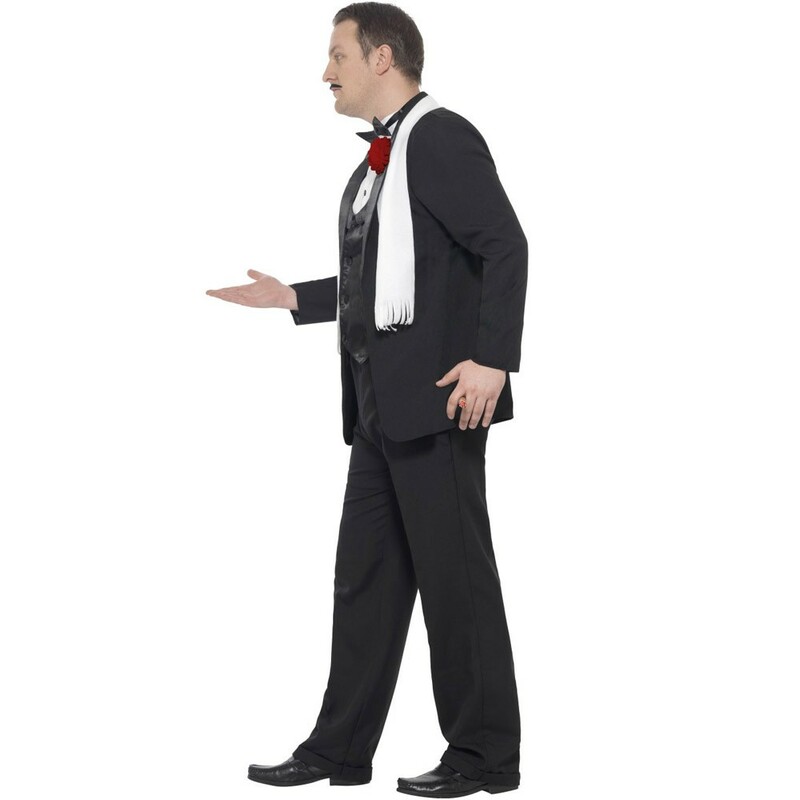 This Black suit Jacket features an attached white Mock Shirt with button details and a black bow tie, and an attached black satin mock Waistcoat. This Curves Gangster Costume also includes a pair of matching Black Trousers that will be sure to bring sophistication to the party. Add the perfect finishing touches to this Curves Gangster Costume with the White Scarf, Red Flower, and Cigar. Perfect for a 1920’s theme, Gangster theme, a Murder Mystery theme, Halloween, or any fancy dress occasion, you will be sure to look the part! So make sure you take no prisoners and party in style with this brilliant Curves Gangster Costume.